Following complaints from the drivers, overnight modifications have been carried out to the kerbs at Turns 9 and 10. 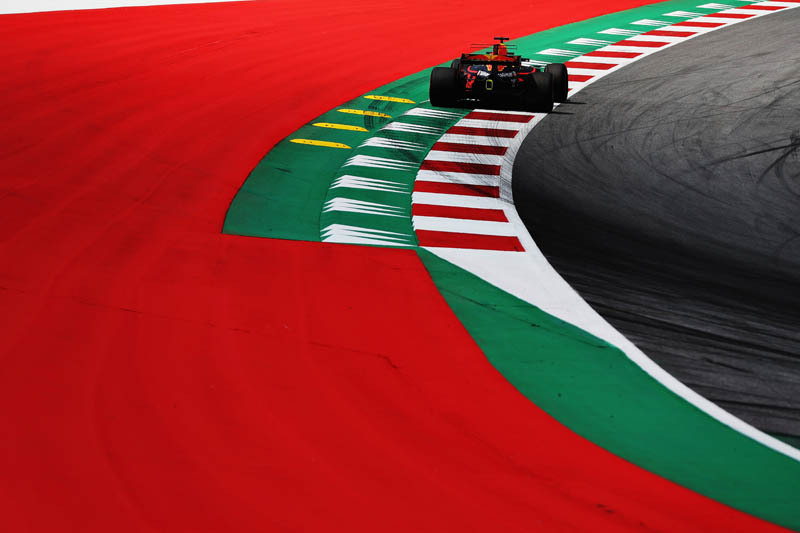 Friday witnessed a number of drivers running wide in the final two corners at the Red Bull Ring and damaging the undersides of their cars in the process. Following issues last year the kerbs were modified ahead of this year's race, the spacing between the orange "baguette kerbs" widened to 3.2m. 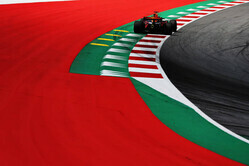 Nonetheless, a number of drivers including Carlos Sainz and Romain Grosjean incurred damage as they ran over the kerbs and as a result the issue was raised at last night's driver briefing. "This is not the highest grip track and with the higher speeds this year, if you have a moment, it is difficult to correct without hitting a kerb or going through the gravel which a lot of people have experienced today," said Max Verstappen at the end of the days' action. "The yellow kerbs were definitely a challenge," he continued, "and I think maybe they are not the type of kerbs for Formula 1, the cars just aren’t designed for it." Consequently, overnight the kerb on the exit of Turn 9 has been repaired, having been made more exposed as a result of soil behind the rain gully being eroded. At the same time, two of the "baguettes" have been moved closer to Turn 10, in order that drivers running wide in Turn 9 are able to to return to the track without going right over them. Check out our Saturday gallery from Spielberg, here.